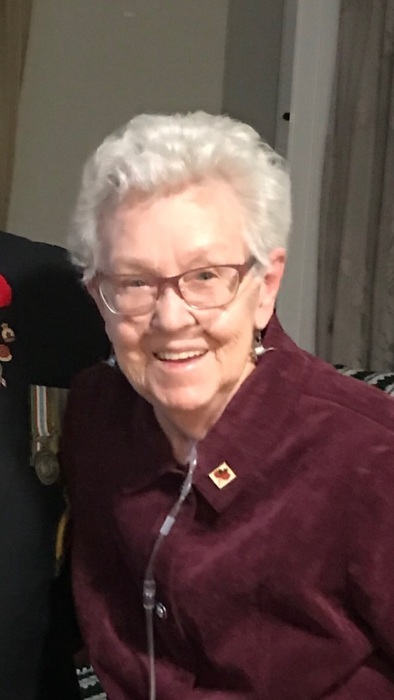 On March 21, 2019 Shirley Mae Hinds, 78, of Stony Plain passed away with her loving family by her side. Left to mourn her passing is her loving husband of 58 years, Dan (Dennis) Hinds; her 4 children, Denise (Don) Buhay, Susan (Eric) Watts, Dan (Ida) Hinds, Pat (Karin) Hinds. She was known as Nana to David, Micheal, Melissa, Christopher, Justin, Cory, Stephanie, Holly, Kenny, Jennifer, Ambre, Ryan, Robyn and Ronan, as well as 13 great grandchildren. Shirley was also survived by 2 sisters, Ann and Doreen (Glen), and brother Will (Karena), sister-in-law Diane, brothers-in-law Tim (Michele), Terry (Mary). Predeceased by her siblings, Marilyn and Rob, mother Annie and father Robert, brother-in-law Lloyd and great grandson Colby. Shirley was immensely proud of her family and leaves behind a legacy of beautiful memories and an abundance of love.